All professionals at Complete Foot & Ankle Care maintain the highest levels of accreditation and pursue ongoing education to stay abreast of the latest trends in the medical field. Read on to learn more about our staff's experience and training. It has been said that “People don’t care how much you know until they know how much you care.” I became a Podiatrist because of a true concern for the welfare of my patients. My pre-medical education was Baldwin-Wallace College in Cleveland, Ohio, and Podiatric Medical School was also in Cleveland from 1974 through 1978. 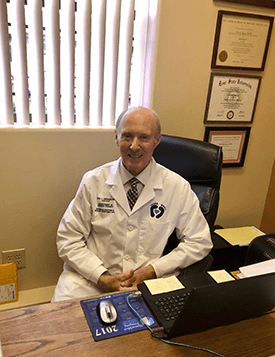 After completing a surgical residency, I relocated to Arizona in 1983 establishing a private practice in Sun City, Arizona. My practice includes all phases of foot and ankle care. After enduring a number of Summers in the Phoenix area, the mild climate of Prescott, Arizona became an attractive opportunity. 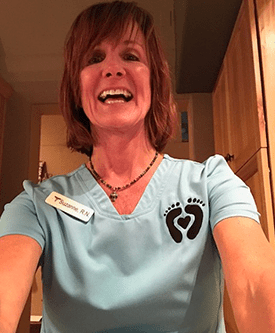 In 2006, I started a Podiatry practice in Prescott and it soon became my full-time practice. The profession of Podiatry is demanding, making it difficult to maintain a healthy work/life balance. Athletics has been a big part of my life but recently golf is all that I have time for. Dr. Hayman flies his own airplane and has been a pilot for over 50 years. I’ve been a nurse for almost 40 years. I have been blessed in my career to work in a variety of specialty areas. I’ve worked in MedSurg, coronary and medical intensive care, surgical intensive care, emergency room, a level 1 trauma center, hospice, and for the 10 years prior to coming to Dr. Hayman’s I worked in the surgical services department of YRMC as a PACU nurse, pre-op charge nurse, then as Clinical Coordinator for the department. I’ve loved every position I’ve held. For five years in the late 90s, I owned two assisted living homes for residents with dementia and took care of 20 residents with round the clock care in Scottsdale. I met Dr. Hayman In 2006 when he moved to Prescott from Sun City. It wasn’t until 2011 that we began dating and in 2014 we got married in Hilton Head. Between us, we have 5 daughters, 1 son and 13 beautiful grandchildren. Originally I came over as a clinical specialist to perform his Pinpointe and MLS Lasers and somehow it has evolved into the management of the office. I continue to learn new things every day and am motivated by the wonderful staff I have and the respect I have for Dr. Hayman and his wonderful ability to genuinely care for his patients every single day. I believe in servant leadership and pray every day that God will lead me in humble and grateful ways as I give all the Glory to Him. When not in the office I love to hike and am looking forward to resuming my golf and tennis. Our dog Pilot also occupies quite a bit of my time and has become the true joy of our lives! Debi has joined the practice recently and has been treating patients with the laser and Microvas. She will be treating patients with Anodyne, Infrared therapy as well. 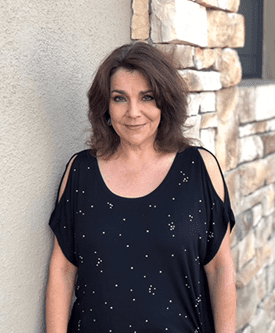 Debi is an Arizona native and has been a Registered Nurse for 15 years. When she has time, she loves crafts and home projects. She also loves visiting her grandchildren. Most of all, she loves ASU football and basketball - GO DEVILS!! Debi has 2 children, a wonderful daughter-in-law and 5 grandchildren. She herself is the oldest of 4, 2 sisters and a brother, who live not so far away in the East Valley of Phoenix. 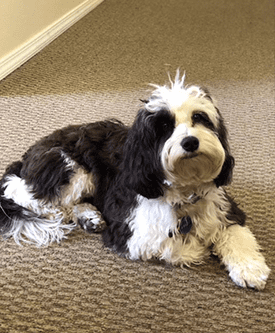 Her favorite thing about working here at Complete Foot & Ankle Care is the patients. She loves seeing how they improve with the treatments, especially in relation to pain. She also states she is so happy to be working with an awesome staff who make every day super pleasant! Emily comes to us with a vast and diverse amount of experience. She is a certified biller/coder and also has years of experience working in a busy medical practice in front office support. She is originally from Los Angeles, California, but was raised here in Arizona. She has been in Prescott for 15+years. Emily is married and loves being a mom to Hudson and Bayleigh. In addition, she has a dog, a horse and 10 chickens to manage! When Emily’s not working, she loves to hike and play with her kids. 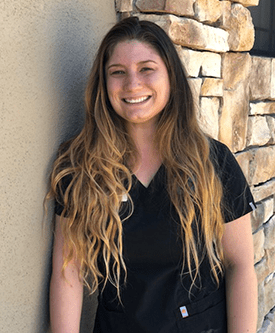 Her favorite thing about working at Complete Foot & Ankle Care is the patients! 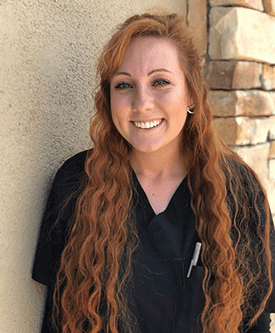 Sky has been with Complete Foot & Ankle Care for a year and has lived in Prescott for one and a half. She is originally from Kauai, Hawaii. 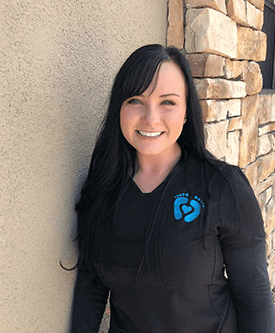 She is a Medical Assistant but also serves as the diabetic shoe and orthotics specialist. One of her favorite things is trimming toenails for patients and seeing the difference it makes for them. She also loves the responsibilities of the diabetic shoe program. Sky has an extended family that are very loving and supportive. When Sky's not ordering shoes or scanning feet, she can be found working out or eating pizza, 2 of her faves! Her favorite color is black. She has lived in Prescott for almost 9 years. Sierah loves all of her coworkers and the wonderful patients she gets to take care of. She is the middle child of three girls: her sisters are 22 and 7. Her parents live locally, which she appreciates and her favorite thing in life is her dog Blaze. When Sierah isn't working, she loves going to the gym, practicing yoga, walking Blaze and last-minute spontaneous weekend getaways. She loves hanging out with friends and family. Mariah has only been with Complete Foot & Ankle Care a short time but already she's filled in for every position! 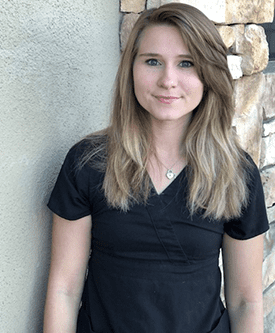 She offers front office support, medical assisting and also fills in to help with laser and Microvas treatments. She was born and raised in Lake Havasu but has lived in Prescott for nine years. She too loves the people she works with. "everyone has a smile on their face every day and I automatically felt like family when I first started here." Mariah has two sisters age 21 and 7. When Mariah is not working, she loves going to the movies with friends, camping, and spending time with her sister. Natania was born and raised in Skull Valley, AZ by her awesome Christian parents. She has 5 brothers and 2 sisters. She also lived in New Zealand for 6 months and Israel for 3 months, so she has done some traveling! She has lots of customer service experience, as she is a dispatcher for a local ambulance company. 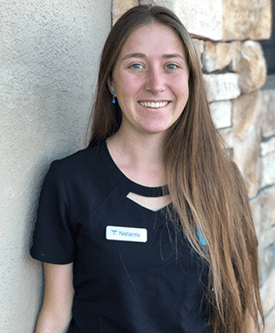 When she isn’t checking patients in and out, she enjoys ballroom dancing, hiking, camping, reading, playing the guitar and learning any new skill! Natania’s favorite colors are blue and green. 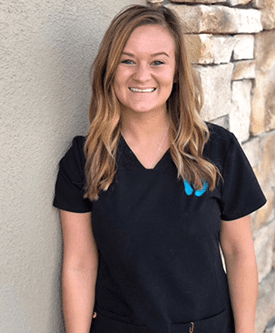 Allie has been with the practice for over a year. She moved to Prescott from Toledo a little over a year ago. Even with most of her family back in Ohio, she has fallen in love with Prescott! Allie is another one of our amazing medical assistants. 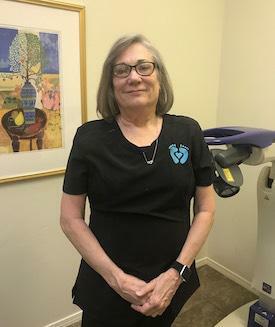 One of her favorite things about the practice is her patients ....she's quick to say that they make coming to work something to look forward to! She feels the same about Dr. Hayman and states that he is one of the greatest people she has ever met! Allie has a beautiful baby boy who was born in January. Everyone (patients included) has adopted him as their own and he gets plenty of attention when he's around! When Allie is not working, all she really wants to do is spend time with her son and we're pretty sure that keeps her busy! She definitely has her hands full when Daddy is fighting forest fires all over! Jessie has only lived in Prescott for two months and is originally from Scottsdale, AZ. She, too has had loads of experience working in a busy medical practice. She is looking to become a Physician Assistant in the future. Her mom is a 1st grade teacher and her dad works in construction. She also has a sister who teaches elementary special education. Her mom and sister are her best friends and her family is the most important thing in her life. 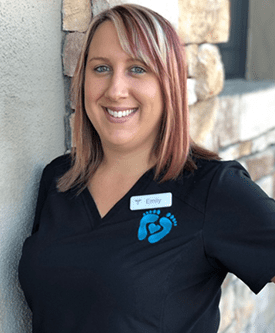 What she loves about Complete Foot & Ankle Care is “the atmosphere”. The patients are amazing and she describes her co-workers as friendly and hard working. Outside of work, you’ll find Jessie hiking, watching movies and taking her dog to the dog park. She also enjoys camping. Jessie’s favorite color is purple. This is Kim, our awesome and wonderful bookkeeper. Kim has been with CF&A Care for almost two years. Kim is originally from Chicago but 10 years ago she settled in Prescott after some time in Phoenix. "Our get-togethers outside of work are always amazing and it really feels like family here!" Kim has 3 grown children, 2 of whom are graduates from ASU. Her youngest starts Yavapai college this fall. Kim’s life partner, David, is the very talented artist that has captured Pilot’s spirit in the paintings we have decorating our walls. When Kim is not working, she might be found jeeping, painting, cooking, traveling, exploring nature or pursuing her photography. Her favorite thing in the world, however, is her special cat Oslo! Kim’s favorite color is terra cotta. Hi, this is me, Pilot. I just wanted to have my picture taken with everyone else. I am still the office mascot. My favorite color is whatever my mom is wearing! I am the newest and smallest addition to the practice. As you can see I am next to Pilot which makes me his wing man. And oddly enough, that’s my name! 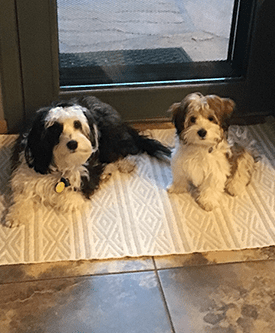 I am purebred Havanese and am still in training.....it’s a big job! 3103 Clearwater Dr, Suite B.